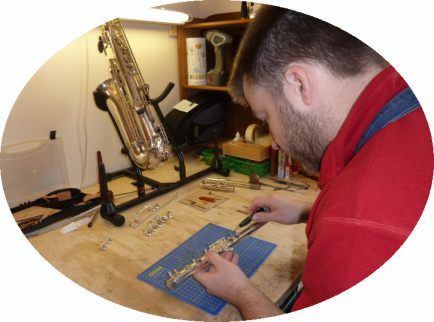 I studied woodwind instrument repair for 3 years at Newark College in Nottinghamshire, graduating with Distinction in 2007. From Newark I returned home to Coventry to set up my own workshop. In January 2013 I relocated to Kenilworth, still serving the same areas in Warwickshire and the West Midlands. I have always been a keen woodwind player, starting on clarinet before adding bassoon, saxophone, flute and, most recently, oboe. This enables me to test instruments at all stages of the repair process, from fault finding to final testing. I specialise in playing the more unusual instruments of the woodwind family, for example baritone saxophone, bassoon and bass clarinet. I have played in pit orchestras for many local amateur musical societies. For more details, check the news page.